I teach hatha yoga classes in Goa, but lots of you are far away and wish you could practice with me. 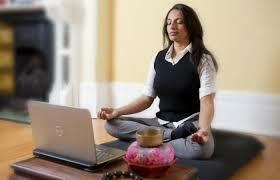 Well, I am excited to announce that I will now be offering private yoga sessions via Skype! Ready to try yoga but don’t have a “yoga body”? Or maybe you’ve been intimidated by the idea of showing up at a yoga studio. If you are recovering from an injury, have a hard time getting up and down off the floor, have a large body, or just want to try yoga in a low-pressure, judgment-free environment – Think Positive Live Well was created just for you. 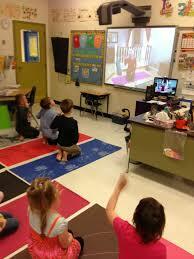 Skype yoga sessions offer a brand new method of practicing yoga. I want to feel connected with you and make sure we can work with your unique body to offer modifications and sequences that work for you, which is why I like to work interactively instead of with a book or DVD. We video chat (via Skype) with our computers or devices set up on a table. I’ll lead you through sequences by verbal cues and visually demonstrating the postures. You are empowered to make corrections on your own via verbal cues, which is key to your growth as a yogi and an empowered human being! I’ll send you a questionnaire which will help me get an idea of where you are and what you’re looking for. I’ll be able to know if you’re a brand new beginner, if you’re just looking for modifications that work for your body, what sorts of limitations you may have, mobility issues, chronic pain, and other information that’s helpful to me. I’ll also be able to tell right away if Skype consultations aren’t a good fit for us (but most of the time, they will be). email to you. You can practice the sequence at home, or attend a yoga studio for the first time with confidence. I can customize a daily morning practice for you, we’ll go through it together and then you can do it on your own! We can troubleshoot specific issues you’re having with certain postures, and I can help you find modifications for your body. We could go over the use of props for safe alignment and freedom in yoga. We can explore vinyasa, and work up a customized flow for you to use at home. We might investigate alternate options for poses you find difficult in the classes you normally attend. Skype. Skype is a chat program that you can download onto your computer, tablet or phone and use to video chat with anyone else who also has Skype. It is free and easy to use. A camera, a microphone and speakers for your computer. (Your computer or device may already have a built in mic & speakers). A private space in your home where you can be free of distractions (kids, phone, etc.) for the duration of the practice. Yoga has done wonders to transform my relationship with my body, others, and the world. I believe in everything I’ll be sharing with you 100% and with my whole heart. However, you might not feel the same way. If you’re unhappy with our work together, I offer a 60-day money back guarantee. There’s no risk in this – I want you to enjoy yoga, enjoy safely moving your body, and enjoy the wellness you can find in the body you have today. So give it a try, and if you don’t feel like our work together was valuable, I’ll refund your money right away. Ready to practice with me?